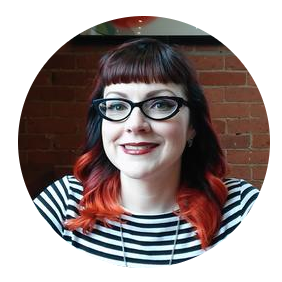 Fluffy The Vampire Slayer - Cats and Horror blog: My Second Horror Block! I'm unpacking my second Horror Block Box! 1. 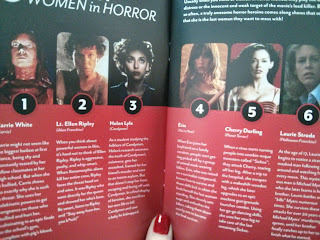 In the House of Flies DVD. 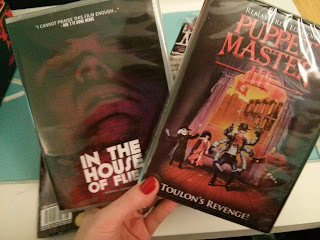 (Yes, I know I still have to review the movie from the last Horror Block). 2. 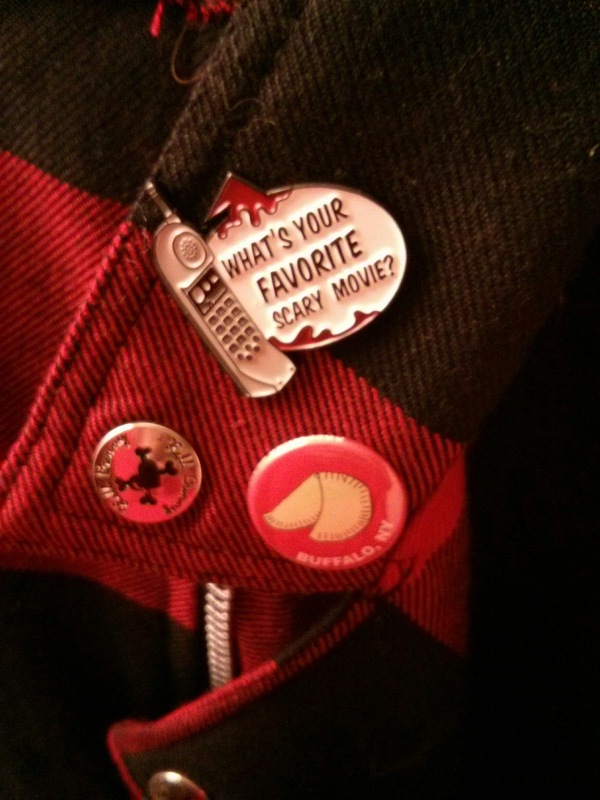 What's Your Favorite Scary Movie? Pin. It's already on my jacket, (over my Buffalo, NY pierogi button). 3. Puppet Master III DVD. 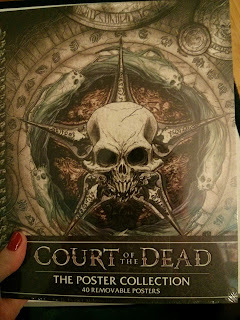 I'm going to make Andrew watch all of them. 4. 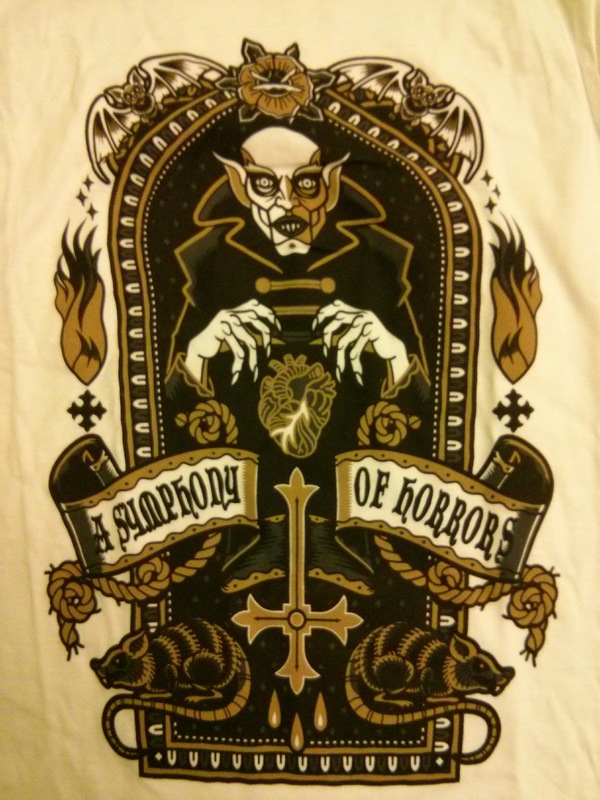 "Symphony of Horrors" Nosferatu WHITE T shirt. I love the image, however it's white. 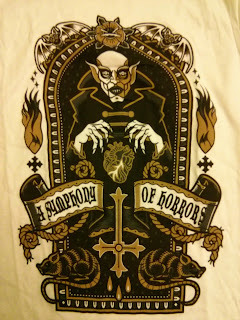 It'll be the first white T shirt I have owned in years! 5. 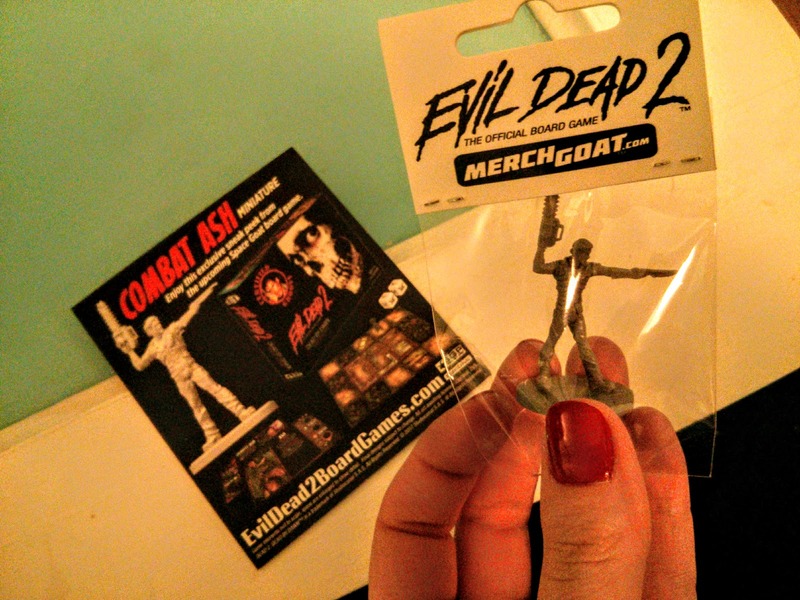 Tiny Combat Ash Miniature from the Evil Dead 2 game. 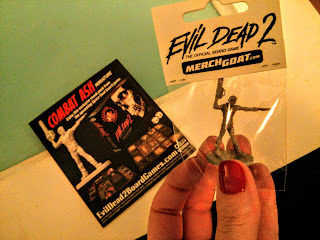 (My Bruce Campbell blog reference is here.) I think I might make this into a hair accessory. 6. 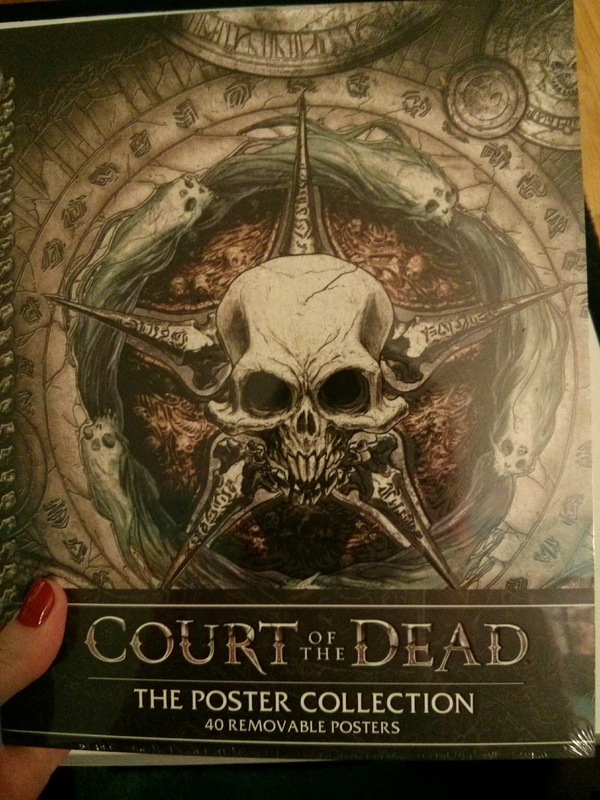 Court of the Dead Poster Collection. 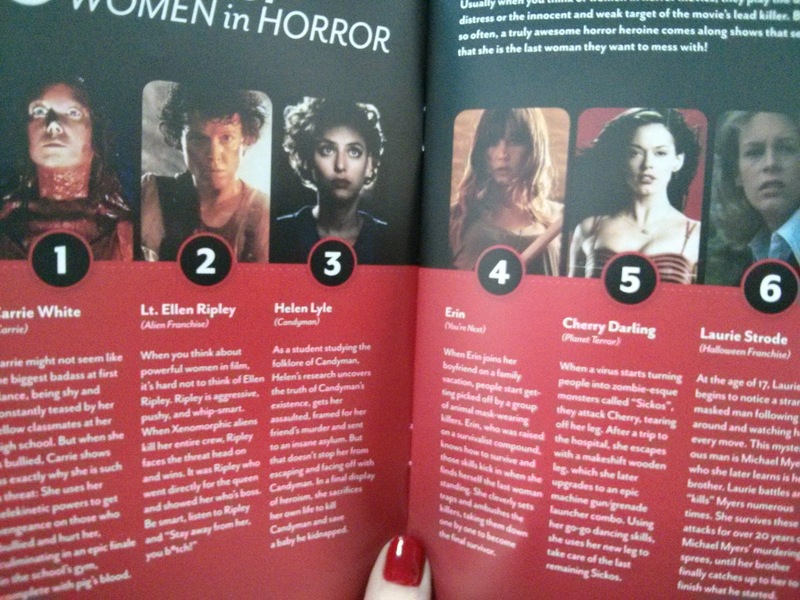 After more research, I guess this is a poster book based on a role playing game? Meh. 7. 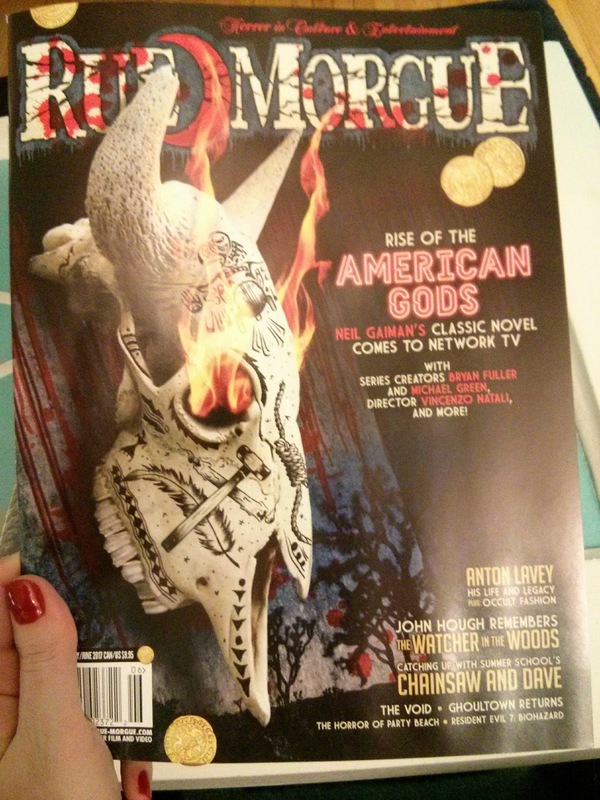 Rue Morgue Magazine. They are the reason I subscribed to the Horror Block ~ I can't wait to dig into this! 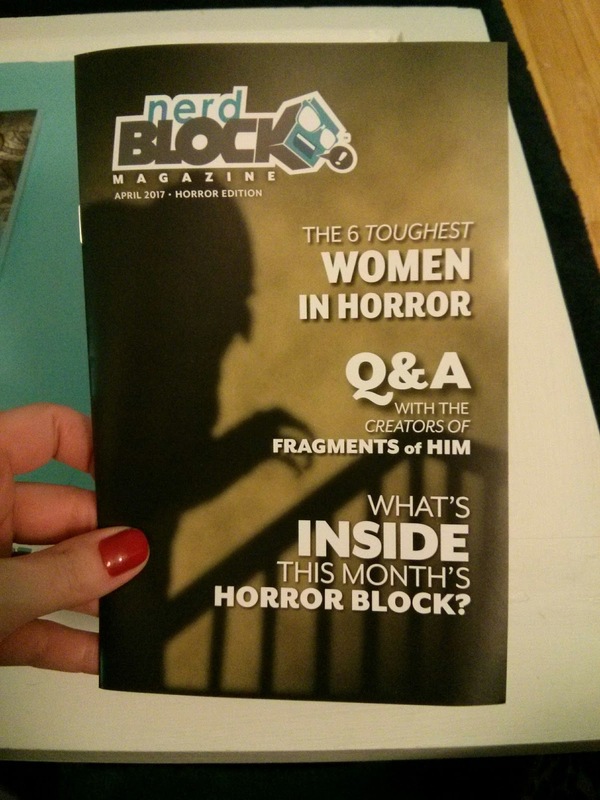 You can watch my first Horror Block Box unpacking video here, (don't worry it's SUPER quick).